Celebrating its 20th anniversary next January, Bo Optik moves into 2012 with an impressive new deal. What do you get when you combine an education in philosophy with one in statistics? In the case of Michael Bohbot, you get a very successful niche player in the optical scene. Bo Optik is 20 years old come January 2012, and it has managed not only to survive but to thrive, thanks to the unique combination of chutzpah and planning that Michael brings to the business. It appears that a sense of daring and adventure runs in his genes. His father, Jacques Bohbot, came toCanadafromMoroccoas a young man. He had the proverbial next-to-nothing in his pockets and ended up doing very well in the real estate business inMontreal. Michael also had two uncles in the eyewear business. 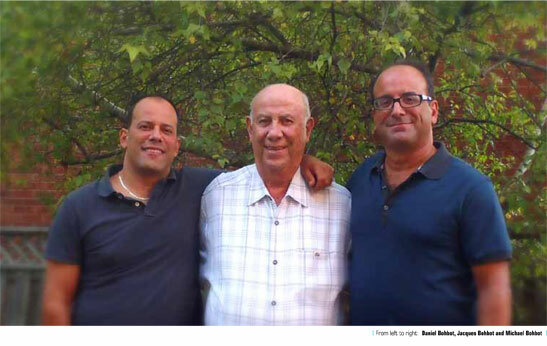 One worked for Sàfilo inMontrealand helped Michael get a job there as a teenager; later, the same uncle employed Michael at his Montreal-based distribution company, EMA. The other uncle was an optician with a store near the University of Montreal, where Michael also worked. A move to Toronto made sense for Michael and his wife Rhonda, the company’s operations manager. Daniel stayed in Montreal and began building the customer base in Quebec, while taking the lead in product development. From their modest beginnings with just the three of them, they’ve built a company that now supports 45 people, including office and warehouse staff and sales agents. The Bo Optik business strategy is to identify niche segments where they can shine with top-quality product. They also had the foresight to recognize that house brands could handily complement the American brands they were distributing. Daniel and Michael sat down and created a children’s collection called Jungle Animals, which was distributed along with Pez, Hush Puppies and Thalia Girls. Nine years ago, Bo Optik addressed another neglected segment: junior and petite frames for hip kids aged 10 and up, as well as adults with small faces. Here Jungle Juniors and Jalapeños brands were shown alongside the very popular TMX. Frames for larger men are another segment Bo Optik has taken over with their Safari line. And more recently, Khi Eyewear was created as an entry-level collection for young male professionals who need to look great without breaking the bank on brand name designer frames. “With Khi Eyewear, we give consumers as much detail and style as we can while keeping the price point attractive,” notes Michael. Leading American partners like Kenmark, L’Amy, and The McGee Group are an intrinsic part of Bo Optik’s impressive and balanced range of collections, which also include Dana Buchman, Jhane Barnes, Thalia, Vera Bradley, and Lunettes L’Amy. Who knows what further excitement the next 10 years will bring for Bo Optik? Given the dynamic team running the business, it will no doubt be worth keeping an eye open for their 30th anniversary in 2022!